I love horses and was never able to forgive myself for not being able to afford to be a part of an equestrian club. Regardless, my fascination with these powerful animals has not subsided, and I have been enveloped in equine news, events, and breeds since I was a teen. Some breed horses for races. Others do it for the sheer sense of being elite and having a magnificent specimen with a proud bloodline. Following the world trends, I have made a list of what I believe to be the most popular horse breeds. Enjoy! Many riding horses have an Arabian as part of their ancestry. Hailing from the Arabian Peninsula, these horses are easily recognizable due to their arched necks and high-carried tails. Their temperament is fair. They are usually very friendly, to the point of playing with children, but a maltreated Arabian can fight back. Should you ever come across an Arabian that seems vicious, that’s a sure sign of abuse. 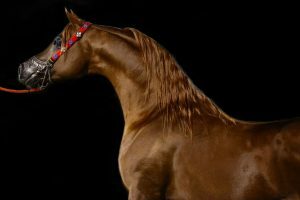 There are many legends involving Arabians, particularly in religions and myths that, not surprisingly, originated in the deserts. One such legend says that the Arabian was created by angel Jibril, or Gabriel, himself. 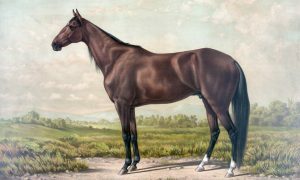 This breed, which is the most popular in the USA, gets its name from its ability to outrun most of the other breeds in short distance races – particularly races that are a quarter mile long or shorter. It came to be when the English Thoroughbreds were crossed with several horse breeds bred by Native Americans. Leave it to the English of the olden days to put great emphasis on the origin. The breed was developed in the 17th century in England, and it’s a hot-blooded breed. Its specialty is racing, though you will find Thoroughbreds in many other competitions. They make excellent show horses and often make an appearance in polo. They are tall and slim, with small heads and hooves. As a breed that was created for racing, they often go beyond their natural limits in the competitions, damaging their health. 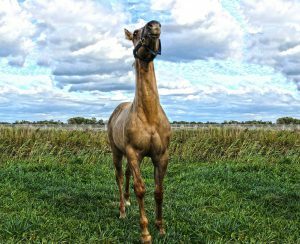 Despite their potential low fertility, they are used for creating new horse breeds. To buy one, be ready to set aside anything from three thousand to several million dollars. This breed is last on my list, but, interestingly enough, it was among the first in the United States. It’s compact and yet elegant, with a very expressive head. In terms of color, it is either black, bay or chestnut. In the past, it was favored by the military, but Morgan’s strengths come from its versatility. 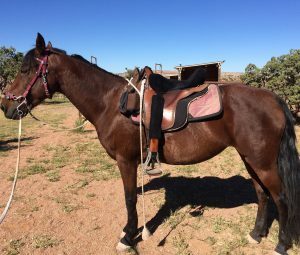 You will find them in Western shows and behind carriages, along with a considerable amount of people who enjoy pleasure riding. The Morgan Horse has found its way into the media as well, being a part of stories, films, and a few poems.